Once again, thanks for doing this. 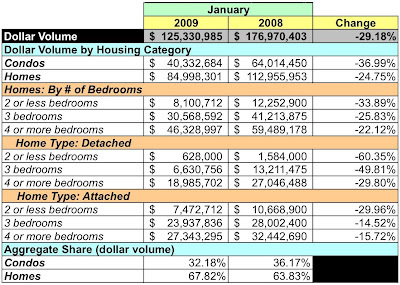 So it looks as if high end homes and condos are in the same basket, so to speak. Both have not really dropped in price but they have experienced a large drop in transactions. I wonder as time goes on how that will change. 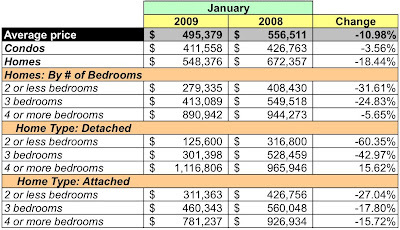 I imagine condo inventory grows and prices drop, while there are only so many high end homes for sale in the district. 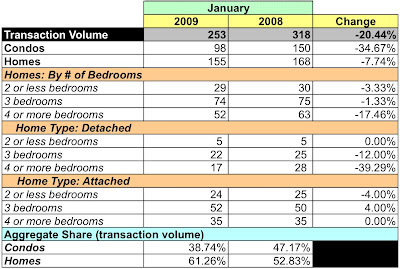 Does inventory continue to grow into the spring or is January typically when units are dumped onto the market? Meanwhile the lower end homes are being hit hard. And I can't imagine this coming spring season will alleviate that. I want to buy a small home, but I'm also a bit spooked. Granted the drops could be from lower end units coming on the market, but I thought I would share. Hope you enjoyed MARDI GRAS!